Dale Hall is a Chattanooga native and a priest at The Mission Chattanooga. 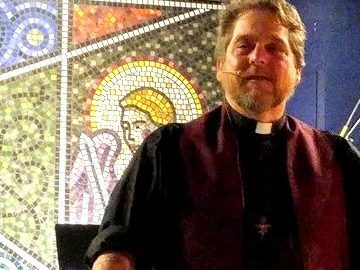 He serves as the vicar and lead pastor of The Street Chapel which serves the local homeless community, he also serves The Mission as director of clergy credentialing, and Dean of Spiritual Formation at the Mission School of Ministry. He serves his diocese as a church planting assessor and a contributing writer. Dale is involved in his community, sitting on the board of two local non-profits seeking to assist families and individuals facing homelessness, and is a volunteer community chaplain. In the past as a social worker he has worked at The Salvation Army, with runaways and teens, as a crisis counselor, and also with the homeless. Additionally, Dale has been a certified rock climbing instructor, a self defense coach, and a CPR and first aid instructor for the American Red Cross. Dale was first licensed to ministry at Calvary Baptist, in Rome Georgia, while attending Shorter College. He has spent most of his life involved with church planting and social outreach. He has been a Vineyard pastor and is a third order Franciscan with the ecumenical order The Company of Jesus. Dale is an amateur historian, an occasional poet, and has a love for the early church writings.